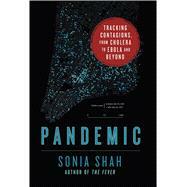 Sonia Shah is a science journalist and prizewinning author. Her writing on science, politics, and human rights has appeared in The New York Times, The Wall Street Journal, Foreign Affairs, Scientific American, and elsewhere. Her work has been featured on Radiolab, Fresh Air, and TED, where her talk "Three Reasons We Still Haven’t Gotten Rid of Malaria" has been viewed by more than 900,000 people around the world. Her 2010 book, The Fever, which was called a "tour-de-fource history of malaria" (The New York Times), "rollicking" (Time), and "brilliant" (The Wall Street Journal), was long-listed for the Royal Society’s Winton Prize.